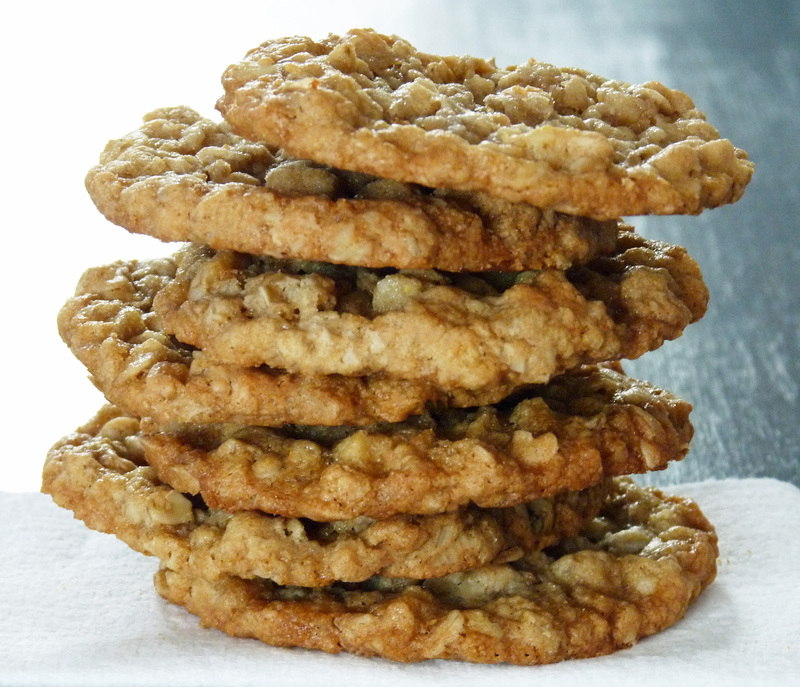 I’m so pleased to share this recipe for my absolute favorite cookie! 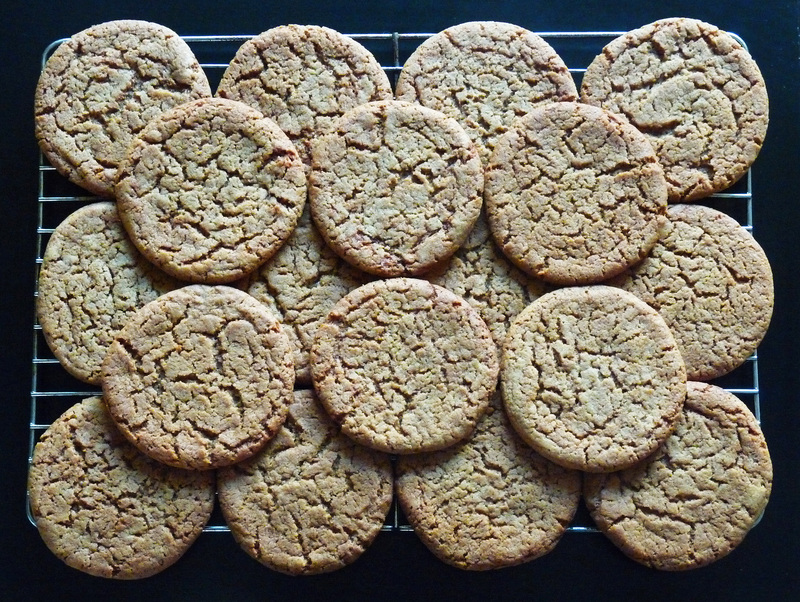 I’m a bit of a cookie aficionado (translate: I eat a lot of them), and nothing homemade or store-bought has ever compared to my grandmother’s recipe for Molasses Cookies. They’re soft, chewy, and easily the most frequently-requested cookie in my baking repertoire. Enjoy with tea, coffee or milk (or stuff one after another in your mouth – no one would blame you!). Cream shortening and sugar in a very large mixing bowl. Add molasses. Add eggs, one at a time, mixing well after each addition. In a separate bowl, mix remaining ingredients. Add to molasses mixture and stir well to combine. Chill dough for a minimum of 2 hours. Preheat oven to 350 degrees Fahrenheit/175 degrees Celsius. Using an 1/8 cup-sized measuring cup, scoop dough onto an ungreased baking sheet. Flatten gently with the palm of your hand. Bake for 12 to 15 minutes, then allow to cool slightly on the baking sheet for 5 minutes. Transfer to a baking rack to cool completely. Store in an air-tight container for up to 5 days, or freeze for up to 6 months.